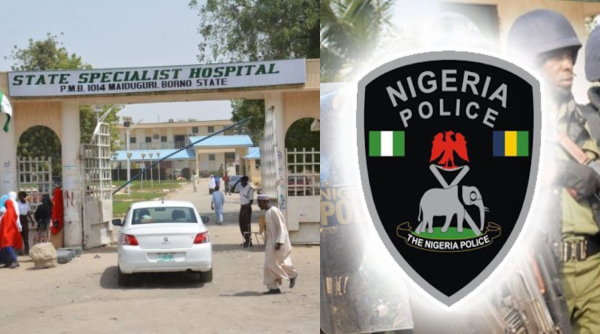 Two private guards who have been placed on SARS wanted list since May, have been arrested over an alleged theft of N5 million from the coffers of a Borno Hospital, Maiduguri Specialist Hospital. “The suspects gained access to the money through the ceiling in the office of the cashier in the hospital on May 1, where they allegedly broke the safe and stole the amount. Confirming the robbery at the Borno hospital, Dr. Laraba Bello, the Medical Director of Maiduguri Specialist Hospital, said that the incident had exposed many of the staff of the hospital to untold hardships and trauma. "On May 1st, our Central Cashier met his safe broken but the door in his office was locked. They gained access through the ceiling and stole the money in the safe." “Even if they were not paid on time by their employees, that shouldn’t warrant them to steal from the hospital. And we heard they bought a Honda accord which simply shows that they are not hungry,” she said. Mr. Babatunde Satomey, the Managing Director of HIM Global Nigerian Security Limited, said the suspects were dismissed from the company in April before committing the crime. According to him, the two private guards were owed few months salaries in the past, but that had been settled. “Both of them were dismissed from the company. One was found misbehaving in the last place of his posting and we dismissed him while the other was not living up to our expectations. “It is not true that we did not pay our security men for eight months. Who ever is given you that information, that is not true,” he said.